A value-for-money monthly contact lens that doesn't compromise on quality. 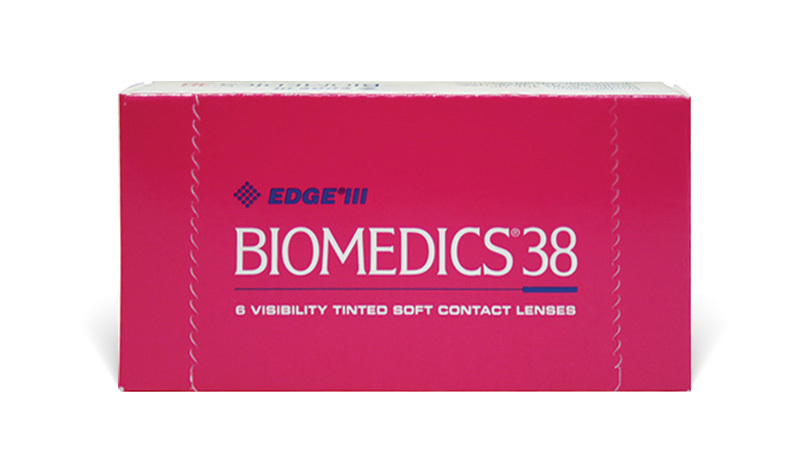 Biomedics® 38 lens holds its shape with no lens curling or roll up, giving you superior handling. Using Liquid Edge Molding (LEM), an advanced manufacturing process, the lens emerges from the mold completely finished with exceptionally smooth surfaces and edges. Edging and polishing are not required thereby eliminating human error. Creating a complex lens design for optimal movement, wearing comfort and lens fit.